5 Eating Habits to Adopt for a Healthy New Year! Home / Blog / 5 Eating Habits to Adopt for a Healthy New Year! 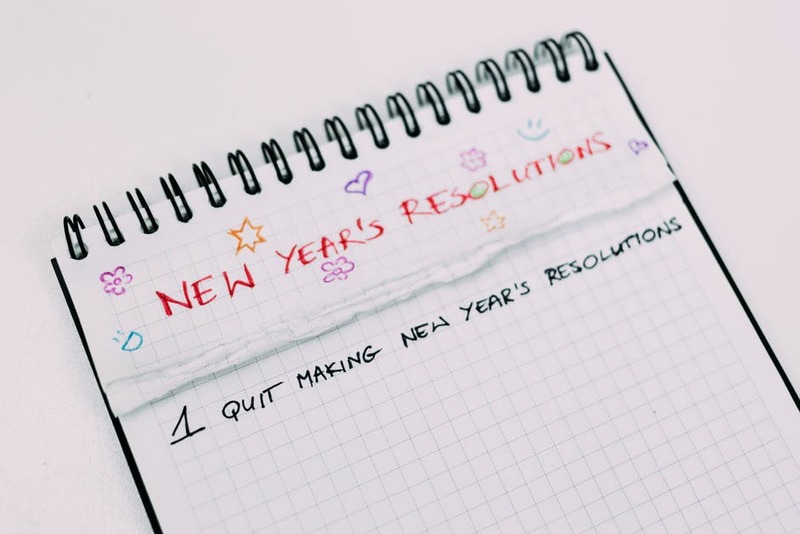 With the coming of the new year, the pressure is on to adopt a “NEW YOU!” Inevitably, the grandiose plans we lay out in our New Year’s resolutions tend to fizzle by President’s Day. The most common resolutions are related to health and well-being. These resolutions tend to be some of the most ambitious, and ultimately, hard to keep. Weight loss goals are incredibly common, and January sees a spike in gym memberships. So for 2018, how do you buck the trend of disappointment and succeed in creating a healthy you? The necessary caveat here: being healthy is a lifestyle choice, and it looks different for every person. It should be up to you, your body, and your doctor to determine what healthy is for you. That said, here are some simple ideas that will help you maintain a healthy relationship with food throughout the year. One of the most fundamental things you can to do to change your relationship with food from “unhealthy” to “healthy” is learning to cook properly. Even if you’re a kitchen accident waiting to happen, learning to cook doesn’t require attending Le Cordon Bleu. Many cities have excellent group cooking classes that cover basics like knife skills and oftentimes have cuisine themes that you might not otherwise ever learn to cook, like Brazilian or Thai. The hands-on classes make a great date night, too! Around our house, food delivery services like Blue Apron and HelloFresh have allowed us to cook more at home. They take the guess work out of shopping and can introduce you to a whole bunch of new cuisines you’d never try otherwise. Each one comes with detailed instructions that anyone can follow. You’ll eat healthy and learn new cooking techniques for about ten dollars per serving. Not bad! One of the most important parts of healthy eating is including plenty of whole foods in your diet. Americans tend to rely on heavily processed foods for every meal. While this is okay in moderation, diets heavy in processed foods reduce the amount of fiber and nutrients we take in. Challenge yourself to have one day composed of entirely whole foods. Follow a list like this to plan out your meals and snacks. Doing so will help you become aware just how much you might rely on processed foods, without the burden of an entirely whole foods-driven diet. As a country, Americans eat way too much meat. This is not only potentially bad for your health, it is definitely bad for the environment. By making veggie the star of one dinner, it will not only challenge you to be creative and try new things, it’ll be easier to have a whole food-driven, low calorie meal. Look to cuisines that specialize in vegetarian meals, like Indian and Thai, for delicious meal ideas. Or, try veggie substitutes in your favorite dishes. Cauliflower can work as a substitute for buffalo chicken wings and whole portabella mushrooms make a hearty substitute for burgers and steaks. Oftentimes, our over-reliance on processed, sugar-laden foods is due to the fact that they’re convenient and cheap. When on the go, it can be hard to find healthy, whole foods to snack on. Remove the temptation by making a habit of keeping a healthy snack on you. A bag of almonds or dried fruit will fill you up without the empty calories of a candy bar. Perhaps one of the main excuses for not eating healthy is “I just love food too much.” There is a lot to love about good food, but oftentimes “I just love food too much” really means “I just love junk food too much.” But an over reliance on quick and convenient foods causes us to miss out on what makes food so fun: trying new things. If you’ve got the money, take a food-centric vacation to another country and get acquainted with the local cuisine. Or, get inspired by shows on the Travel Channel and Food Network. The cooking classes I mentioned earlier are another great way to try new foods. Small changes in your behavior can help you keep your New Year’s resolution to get healthy. While they’re small, and you won’t see results right away, over the course of a year, these changes will have a big impact on how you feel. How I Began My Journey with Function Factory By Rachel P.
10433 Friars Rd. Ste. A.